The terminal of McGhee Tyson Airport is a two-story building, the second level of which is accessible via the curbside drop off and the main parking lot. The second level is occupied by the security, boarding gates, ticket counters, restaurants, and shops. The ground level, in turn, hosts two baggage claims, car rental counters, airline offices, and airport offices. There are currently 12 boarding gates located on the territory of the airport. 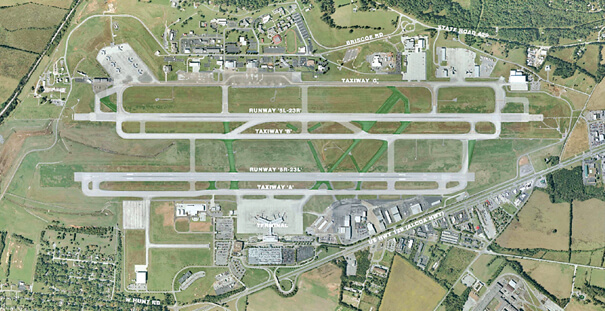 And there are two parallel asphalt runways: 5L/23R which is 1.830-meter long and 5R/23L which is 2.743-meter long.